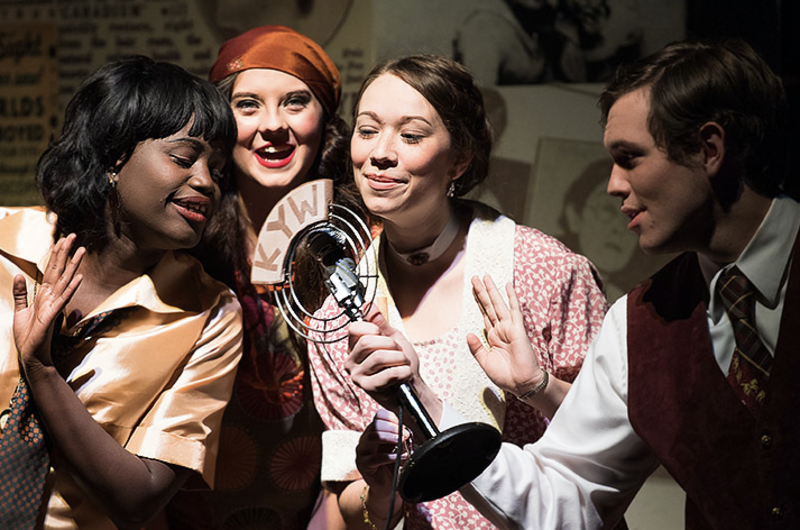 The JSU Department of Drama has announced its 2018-19 performance season. This season packs in the most productions presented in several years, as well as the introduction of the JSU Ensemble Series. The season opens with “She Kills Monsters” by Qui Nguyen with performances set for Oct. 26-29. A comedic romp into the world of fantasy role-playing games, “She Kills Monsters” tells the story of Agnes Evans as she leaves her childhood home in Ohio following the death of her teenage sister, Tilly. When Agnes finds Tilly’s Dungeons & Dragons notebook, however, she stumbles into a journey of discovery and action-packed adventure in the imaginary world that was Tilly’s refuge. In this high-octane dramatic comedy laden with homicidal fairies, nasty ogres and ‘90s pop culture, acclaimed young playwright Qui Nguyen offers a heart-pounding homage to the geek and warrior within us all. This production is appropriate for ages 15 and up. The 2014 Pulitzer Prize winning drama, “The Flick,” continues the season with performances set to run Nov. 29-30. “The Flick” takes place in a run-down movie theater in central Massachusetts, where three underpaid employees mop the floors and attend to one of the last 35-millimeter film projectors in the state. Their tiny battles and not-so-tiny heartbreaks play out in the empty aisles, becoming more gripping than the lackluster, second-run movies on screen. With keen insight and a finely-tuned comic eye, “The Flick” is a hilarious and heart-rending cry for authenticity in a fast-changing world. It’s appropriate for ages 15 and up. The second half of the season kicks off with the 2018 Southern Playwrights Competition winner, ”Right” by Nedra Pezold Roberts, with performances Jan. 31-Feb. 1. Set in the present, “Right” tells the story of a journalist who wants to re-open his Pulitzer Prize-winning story on an oil scam to discover who the whistleblower was and why he committed suicide. This will be the second time Ms. Robert’s work has been present at JSU. Her play “Vanishing Point” won the Southern Playwrights prize in 2013. Next up is the Tony award winning Stephen Sondheim musical, “Company,” with performances scheduled for March 8-11. “Company” takes place on the night of the 35th birthday of confirmed bachelor Robert, who contemplates his unmarried state. Over the course of a series of dinners, drinks and even a wedding, his married friends explain the pros and cons of taking on a spouse. The habitually single Robert is forced to question his adamant retention of bachelorhood during a hilarious array of interactions. This production is appropriate for ages 15 and up. The JSU Student Showcase will return to the stage April 4-5. The season closes with Janet Yates Vogt and Mark Friedman’s “How I Became a Pirate.” This production that’s appropriate for all ages is set to run April 18-19. Currently, the department is working with the Office of Community Engagement to tour the show in the spring to local elementary schools. A delightful musical based on the children’s book by Melinda Long and David Shannon, “How I Became a Pirate” sails off on a fantastic musical excursion when a band of comical pirates lands at North Beach looking for an expert digger to join their crew. Braid Beard and his mates enlist young Jeremy Jacob, as they try to find the perfect spot to bury their treasure in this swashbuckling adventure. Season tickets are $42 for the general public and $36 for JSU employees and students, military and seniors. Individual tickets are also available for each show. Order online at www.jsu.edu/drama or by calling the JSU Box Office at 256-782-5623.